For all the hype of the Modern Prefab home these days, there still remains one clear problem: PRICE. The real promise behind prefab has yet to surface - "an affordable alternative to site built." Prefab Company A: $400/ sq. ft.
Prefab Company B: $300/ sq. ft.
Prefab Company C: $250/ sq. ft.
Prefab Company D: $275/ sq. ft.
Not exactly affordable numbers, especially considering that these homes are often full of compromises in order to be factory built - primarily size and room proportions. In the current Los Angeles construction market, a more affordable goal for modern building would be in the $150-$200 range. At Modative, one of our primary goals is to reduce the cost of modern construction. 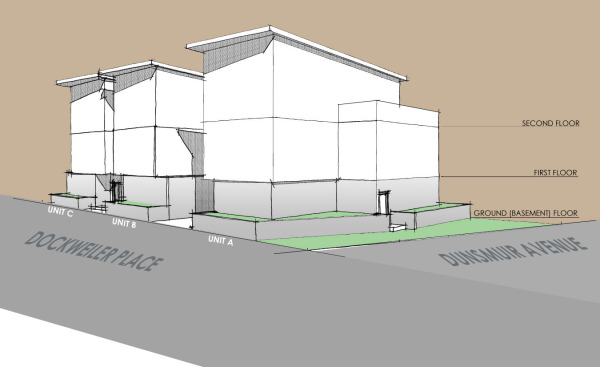 This is a difficult and ongoing process that so far it has not lead us in the direction of prefab. So as some of our projects progress, we will see if this range can be accomplished. 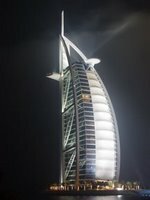 "In the six years since the Twin Towers fell, a thousand skyscrapers have been rising on the Arabian Gulf." The UAE (United Arab Emirates) is growing fast. Nowadays, Dubai is considered to be at the forefront of this building boom, developing at a breakneck speed that is hard to ignore. This enthusiasm for development is overwhelming and the barriers to "getting things done" seem minimal compared the lengthy processes that developers often endure here in the U.S. The next decade will be very telling as Dubai and other Emirates showcase their economic growth in this very tangible way - real estate development. Hopefully the freedom that Architects and Developers have in this region will lead to real innovation that goes beyond pure spectacle. Dubai is an opportunity to address multiple environmental, social, and urban issues with built examples - projects that are both beautiful and responsible. Last month I had the pleasure of seeing Dov Seidman give a lecture related to his new book, "HOW: Why HOW We Do Anything Means Everything in Business (and in Life)". Dov's primary stance is that our current society has become so hyper-connected and transparent that HOW we do what we do has become more important than WHAT we do. In essence, business ethics matter. One of his more interesting points was how true innovation comes about. When people think of how to innovate, they imagine a group of people getting together in a room to brainstorm. Innovation, however, is really only possible when you have trust and risk. You need a team that trusts each-other and is willing to take risks. I completely agree. For more info on Dov, here is his company website. For those wondering what Small lot Subdivision is, I have reposted some info on this (relatively) new Los Angeles Ordinance below. Small Lot Subdivision in L.A. This post is a repeat of a post from our old news page on 12.03.07. Los Angeles has a housing shortage. More specifically it has a shortage of affordable housing. During the latest housing boom, housing prices rose at a dramatic rate, putting home ownership within Los Angeles out of reach for many. To address these and other housing issues, the city of Los Angeles implemented the Small Lot Ordinance in January of 2005. This innovative ordinance allows developers to subdivide land into smaller lots then previously permitted, providing new types of (fee simple) ownership housing for LA. 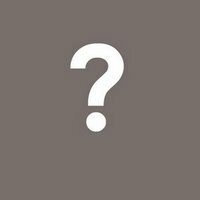 At Modative we are dedicated to developing an expertise on this new type of development. 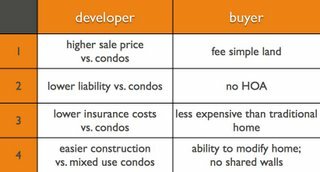 We developed the following chart outlining the benefits of this code. It sounds simple enough, but proper communication is one of the keys to our success here at Modative. Although much of our daily internal communications are informal: a quick e-mail, a check of the office calendar, or conversation while walking to get coffee; there is a weekly ritual that ties it all together: The Monday Morning Meeting. Monday mornings at 9:30 a.m. everyone in the office meets to review all projects and internal office issues. Meetings are guided by a multi-page list showing all tasks, appointments and milestones for each project along with who is responsible for each item. These are not design meetings, but rather organizational open forums - an exchange of information and ideas related to office and project management. These Monday meetings really set the pace for the week around here. For us, designing how we do business is as important as what we design in our business. Well ...have to go now, the meeting starts in a few minutes. Having our office a block away from the historic Helms Bakery complex in Culver City/LA means hardly a day goes by without walking past its parking lot which features a solar array shading device. 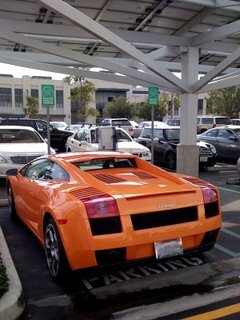 Utilizing photovoltaics (solar panels) to shade parking lots is a great idea to begin with. This device, however, built in 2003, takes it a step further by having the panels also provide power for an electric car charging station. Imagine arriving at work daily to have your car charged up for free in an environmentally friendly way - seems perfect right? The only problem is that electric cars, for the most part, are nowhere to be found. The movie, "Who Killed the Electric Car? ", clearly illustrates some of the circumstances behind the electric cars' demise in the 1990's. As the green movement grows, hopefully the electric car and its numerous possibilities will be revived. As I walked by the solar charging station a few days ago I noticed a car parked in one of the charging spaces that clearly illustrated this problem. My brother, the developer (Grant) is in the New York Times today. The photo above is from the article. Lorcan O’Herlihy (Architect) and Richard Loring (Developer/Builder) did a nice job with this project; another example that there is still quite a market for modern multi-family housing in Los Angeles. 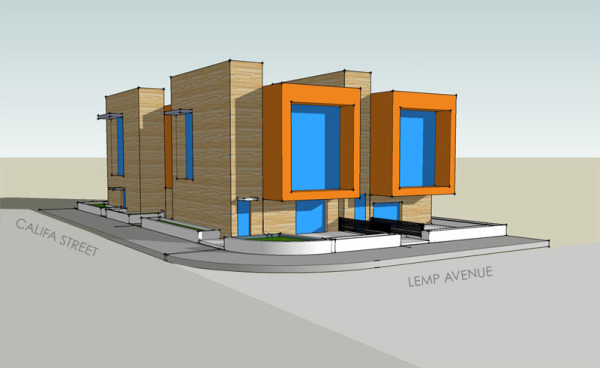 My brother/Pacific Beacon Properties, LLC and Modative are currently developing/designing a six-unit housing project on Venice Boulevard here in Los Angeles utilizing the new small-lot subdivision ordinance. Even with the current housing slow down, we are enthusiastic about the future of these type of developments. 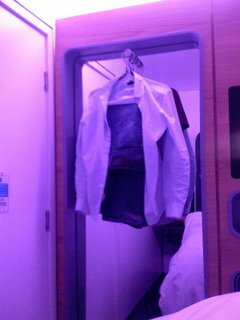 Yotel is a new chain of pod style hotels springing up in European airports. The concept is simple: provide a micro sized room at a (relatively) affordable rate and have it be conveniently accessible to the long-haul traveler. Concept - Great idea based on airline first class sleeper cabins. Location - Checking-in without leaving the airport is a must if attempting a short layover stay. Design - Although windowless (to the outdoors), the small cabins feel roomy and comfortable. The high tech modern look is very appropriate and well done. Flexibility- The double bed electronically inclines to a couch or lays flat for sleeping. Bathroom - A private bathroom with shower in such a small space was impressive and the glass wall partition to the bedroom helped to avoid either room feeling cramped. Check-In - A computer (like an ATM) is used for self check-in. It seemed to work fine, but a staff member interrupted and handled some of it manually. Maybe this is because our room wasn't ready. We had to wait about 15 minutes in the tiny seat-less lobby - not really acceptable when you only have the room for 5 hours. Room Controls - Like the design, much of the rooms controls are high tech with buttons that control lighting schemes, etc. I'm a techie guy and still found the controls a bit confusing. Wi-Fi - Internet access is free through either an ethernet hookup to a laptop or by using the TV system's keyboard. The TV internet system was slow and the interface was barely usable. Wi-Fi would be better, I could have used my iphone. NOISE - Between the frequent vacuuming of rooms, others checking-in, toilets flushing, and staff walking down the hall, the frequent noise made it hard to sleep. As far as soundproofing goes I'd give them an F. The rooms have a seemingly unnecessary window to the hall that surely wasn't helping. The walls and floor even seemed to creak every time someone went down the hall. I could even hear the airport announcements from in the room. My suggestion would be to investigate some kind of "white noise" system to drown out all these unwanted sounds. Overall, the Yotel is a great idea that I would love to see expand if they could only deal with that pesky noise problem.